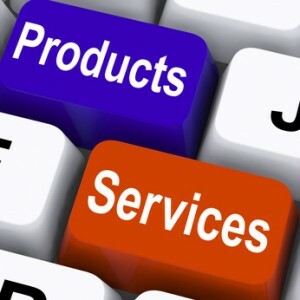 .....My Views Encapsulated In Words...: Product or Service? Brand can command a higher price premium when it is sold as a service rather than merely as a Product.A service helps you to connect emotionally as you can see the reaction of your customers instantly rather then waiting for the product to reach them and then they provide feedback to you which in any case if bad then your long term relationship with customer gets affected. In this case you think Brand should be sold as a service or a product. There are many industries which have set an example in front of us that how can you change the rules of game of service industry and rule the business. If you take an example of airline industry in that Virgin Airlines is the perfect example we can take. They have commanded price premium for their services offered like first music and video systems in the airline industry as compared to other airline services to make flying worth an experience as a stage where they have created an emotional connect in mind of consumers whereas other things which they used are basic products like aircraft engines and many others. Though this formula of them is copied now. Even if you take an example of hotel industry hotels like Armani, Taj specially luxury hotels charge for the service they are providing rather than selling it as a product. Thus various brands want to get associated with them to promote themselves like daily use products and others, their own car services, and food etc. Service adds value to their offerings to attain this position so that it creates perception in the mind of consumers or investors that your service offerings are more valuable than any other service in the market and thus giving you the way to command price premium in the market. For doing this brands needs to focus on wants of customers and make everything possible as an experience to live or feel or enjoy etc. in which customer feels delighted, connected or related and if they even try to move to some other service provider they don’t feel like switching and land back to your service only.